Unwrapping a good bottle is always a happy moment in the life of any alcohol aficionado during the holiday season. Wine and spirits producers know that a present has to be something special—something that their friend or loved one doesn’t already have; something that can’t be bought off the shelf any old day of the year. That’s why the holiday season is prime time for limited edition liquor releases. Whether it’s a holiday gift, a party offering or a special treat just for you, there’s just something more satisfying about a bottle with extra flash or flavor to help it stand out. These are ten limited edition bottles that we’re excited about in the 2014 holiday season. We had to set some parameters here before going off into flights of “$1,000-per-bottle, only ten bottles produced” fancy—after all, while Moët & Chandon’s €899 Bubbly Bath is exquisitely whimsical for your upscale New Year’s Eve party, what would we do with all of those golden bubbles on January 2? So we’ve kept this to the relatively attainable bottles that are ready to party hard and look beautiful and unique doing it. Packaging design exists for a reason—whether it’s a gift or a party offering, brands know that consumers want to present a bottle that stands out. With stark white print and logo work against vivid metallic red, there’s no question that the (BELVEDERE)RED stands out in a crowd on packaging alone. 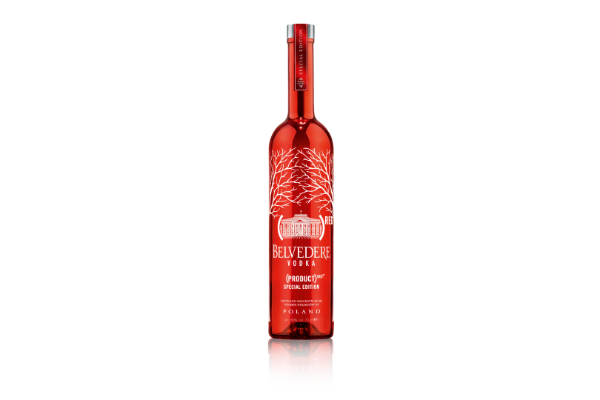 But beyond the design, this limited edition bottle also supports a good cause that gets the vodka completely into the holiday spirit of giving and caring: 50 percent of profits from the sale of (BELVEDERE)RED go to the Global Fund to fight HIV/AIDS in Africa. According to Belvedere, sales from (BELVEDERE)RED over the last four years have funded more than 6.2 million days’ worth of life-saving HIV/AIDS medicine to people in need. That’s some holiday cheer to feel especially good about. 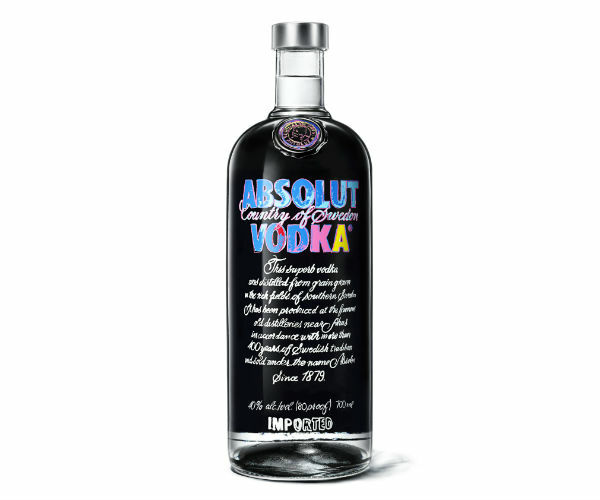 Absolut worked with The Andy Warhol Foundation for the Visual Arts for this special edition holiday bottle, limiting its production of this special packaging to 4 million bottles—which still seems like a lot, until you consider that Absolut is the third largest alcoholic spirits brand in the world. This one also gets consumers into the spirit of giving as well, contributing a portion of all proceeds to The Andy Warhol Foundation’s endowment for the support of contemporary art. We’re longtime fans of Anchor Brewing Co. Christmas Ale, now in its 40th year of production. 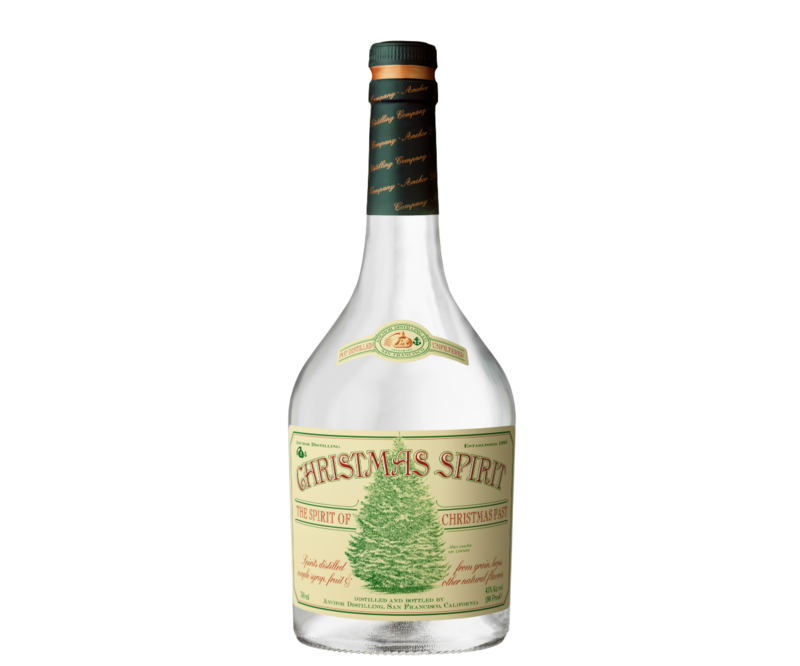 But now there’s something new on the market that could equally capture our heart—the aptly titled Anchor Distilling Co. Christmas Spirit, a white whiskey distilled from last year’s Christmas Ale. Anchor Brewing Co. Christmas Ale is different every year and its 2013 edition was a dark spiced ale—since Christmas Spirit is made from that Christmas Ale, it only makes sense that it would take on cinnamon spiced flavors as well. Christmas Spirit is ultra-limited edition, only available to California residents. But anyone that can get their hands on a bottle should expect an extra special holiday celebration. What’s the holiday season without something sparkling? One can hardly make a toast, ring in the New Year or whip up an effervescent champagne cocktail without it. Chandon’s Limited Edition Blanc de Noirs Holiday 2014 is a soft and fruity sparkling wine that knows it’s the life of the party and wears that brazenly on its sleeve. 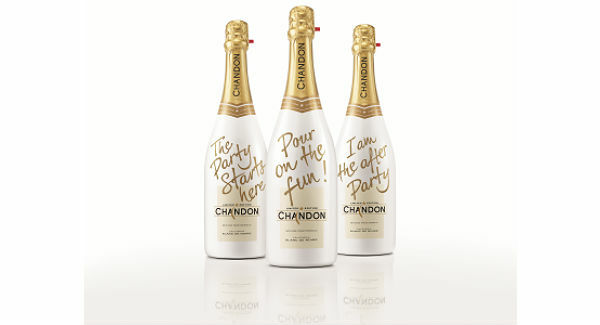 Sporting a sleek and stylish gold-and-white design, scrawled across in gold with phrases like “READY TO SPARKLE” and our favorite “I AM THE AFTER PARTY,” it’s a great bottle for a fun and casual New Year’s party. Even better: at an affordable $22 suggested retail, you can always bring two—one for the party host and one to keep all for yourself (you ARE the after party, after all). For the fifth entry in the annual Hennessy VSOP Privilege Collector’s Edition Series, Hennessy collaborated with iconic British art director and graphic designer Peter Saville to pay homage to the source of cognac itself: the grape. 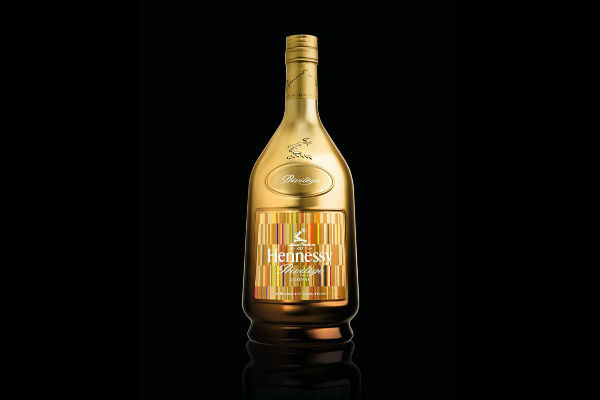 This idea came together as the Collector’s Edition “Genome” bottle, a matte gold bottle marked by color-block coding meant to evoke the DNA sequence of the grapes that go into making Hennessy cognac. "Peter Saville's creation is an innovative and beautiful nod to the storied history of the Hennessy V.S.O.P Privilege blend," said Rodney Williams, senior vice president of Hennessy USA. "The blend was originally created for King George IV. What's striking is how Peter has taken this historical blend – the world's first V.S.O.P. – and masterfully created a contemporary design that still symbolizes its elevated pedigree." Released only through ReserveBar and at select retailers for the holiday season, each bottle is marked with an official Number of Authenticity for a true limited edition experience. Jack Daniels Tennessee Whiskey is an iconic brand that does things its own way. At Christmas, that means honoring tradition by stacking barrels eight meters tall to create its annual Barrel Tree. But in 2011, the Jack Daniels team started a new tradition—bottling specially selected whiskey from those Barrel Tree barrels for a small batch holiday release. 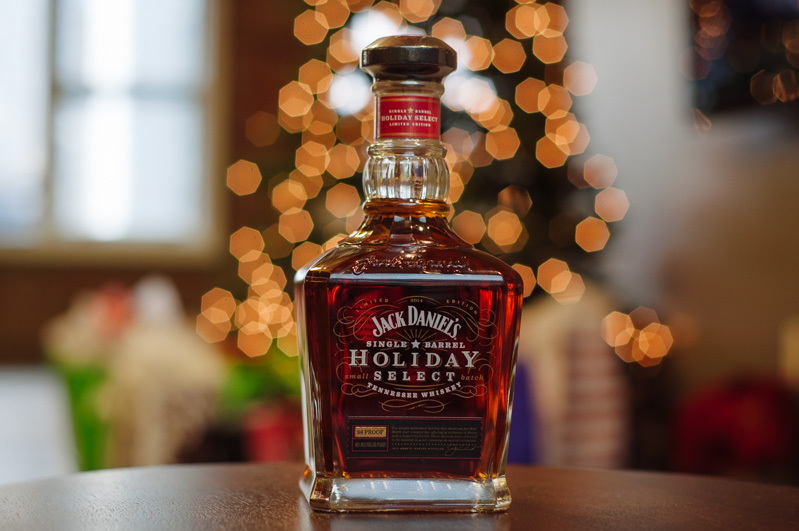 This year’s Holiday Select is extra special, with Jack Daniels Master Distiller Jeff Arnett going for single barrel bottling over blended to highlight each barrel’s unique richness and complexity. 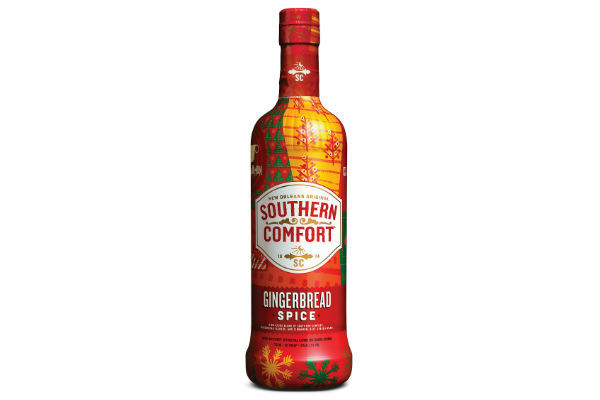 Pumpkin spice is nice, but Southern Comfort is focusing on other traditional Christmas flavors this season with the release of its Gingerbread Spice. Packaged in a bold and cheerfully colored bottle, it looks festive enough to give as a gift—and its vanilla-laced gingerbread flavor has gotten high marks, especially when mixed with cider and served warm like a Hot Toddy. "Gingerbread is one of the most popular holiday flavors. You see it just about everywhere – in coffee, seasonal sweets and now in your favorite spirit," said Jennifer Powell, Southern Comfort brand director. "Southern Comfort's unique flavor is mixed with hints of gingerbread and cinnamon spice to create a delicious, ready to serve holiday drink that's sure to become a holiday tradition." Creamy drinks that would be too heavy in the summer are just that much better in the winter. The White Russian is one of the most classic examples of this—and when the holidays roll around, the only way to make a White Russian better is by amping it up with limited edition holiday flavors. 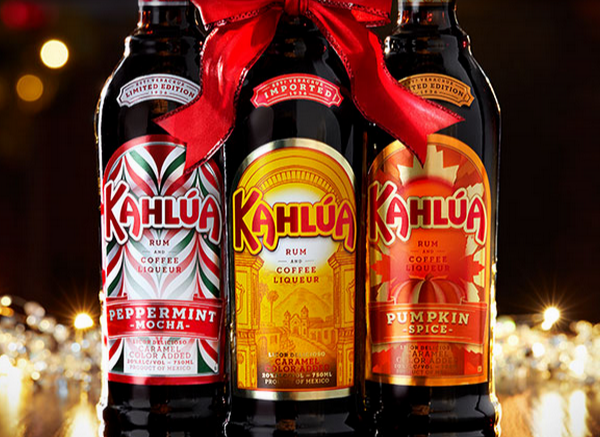 Rum and coffee liqueur blend Kahlua actually has two limited edition bottles on offer this holiday season: a warm autumnal Pumpkin Spice Kahlua and a cool wintery Peppermint Mocha Kahlua. Why choose between the two? Get both and make your holiday party (or the holiday party you’re attending) twice as festive. If you’re hoping that the New Year will be full of new adventures, it can’t hurt to toast to those hopes with a limited edition bottle of Nicolas Feuillatte X’Ploration 2014 Brut Reserve Champagne. 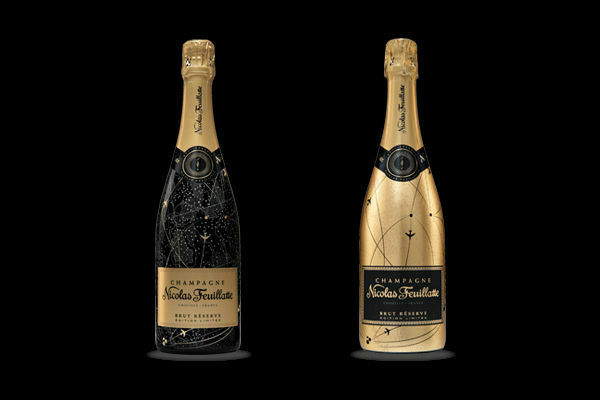 The crisp citrusy champagne comes in two distinct bottles depicting a central theme: a journey of discovery, represented by flight patterns across different time zones. Glitzier partygoers might opt for the matte gold bottle representing daytime, but we’re in love with the gold-flecked black bottle representing star-studded night flights. Juniper-heavy gin already tastes exactly like Christmas to us, so an actual Christmas gin? To say we’re intrigued would be an understatement. 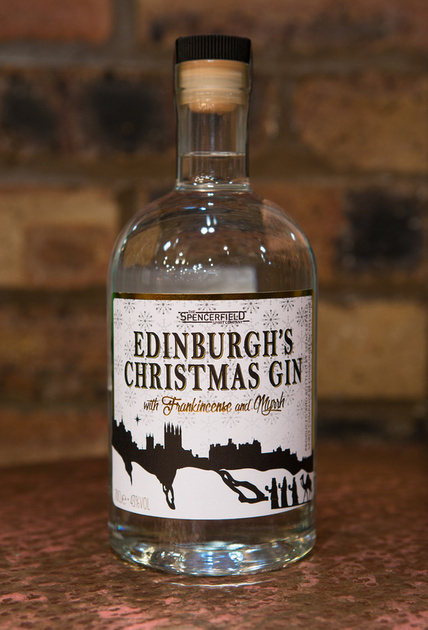 The Edinburgh Gin Distillery is a small batch distillery in Scotland’s capital that specializes in one thing: gin. For the holiday season this year, the distillery has released a small limited edition run of gin prepared with frankincense and myrrh plus a little bit of nutmeg for Yuletide warmth. “Heady with rich spices and sweet orange, our cracking Christmas Gin has an almost honeyed, thicker mouth-feel thanks to the miraculous addition of myrrh – all qualities which make it the perfect winter warmer,” the site read. With only 600 bottles produced, it’s an especially rare and unique holiday spirit.